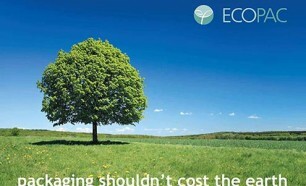 ECOPAC (UK) Ltd supplies packaging solutions to industry to safely transport their products to market. In doing so our packaging solutions reduce damage and therefore waste. We monitor our suppliers processes, from raw material sourcing to waste management in relation to their effect on the environment. Wherever possible we will offer our customers eco friendly packaging solutions that are re-useable, bio-degradable or recyclable. Any paper based packaging that can’t be manufactured from recycled papers is sourced from suppliers who use virgin pulp derived from managed and sustainable forests. Our packaging experts work with our customers to minimise the packaging requirements consistent with the use and protection required through an analysis of the packing process and supply chain. In the day to day running of our business our policy is to minimise the impact of our operation on the environment through the recycling or recovering of materials wherever practicable and seeking efficient use of energy and other resources.